The slow cooker is the perfect take-along appliance for tailgating. Just cook the dish and keep it as hot as possible in a cooler or blankets for transport. For serving, plug a power inverter into your vehicle's accessory socket, and plug in the slow cooker. Even if you're using a grill for most of your food, the slow cooker can be used to keep hot dog toppings and side dishes hot for serving. Here are some excellent options for game day, from pulled pork or chicken to meatballs and sausages. Keep this delicious hot dog sauce hot in the slow cooker to serve with grilled or steamed hot dogs. Or make this hearty spiced beef and bean Cincinnati chili for a topping. 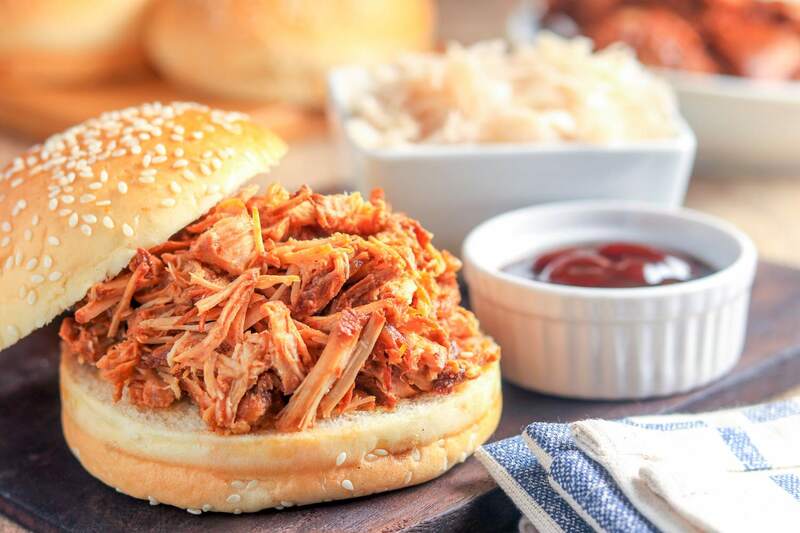 Tender shredded ham is a delicious change of pace from the everyday pulled pork barbecue. Serve the meat on soft buns with Mustard Sauce or your favorite condiments. Sloppy Joes are a fabulous party food. Serve the ground beef mixture on soft grilled or toasted buns. No room for your corn on the grill? Try this easy slow cooker method! Sprinkle with bacon or brush the corn with butter and sprinkle with a little salt and pepper. These chicken wings are incredibly easy to fix, and they cook nearly hands-free in the slow cooker. Jazz them up with some sesame seeds or sliced green onions. These potatoes are the perfect side dish for grilled steaks or chops. Or set up a stuffed potato bar with beefy chili, sour cream, and chives, broccoli with cheese sauce, crumbled bacon, sausage gravy, and other toppings. Serve this easy, hearty chili with cornbread and coleslaw, or use it as a topping for hot dogs or baked potatoes. These little hot dog bites make a delicious pre-game snack, and you only need three ingredients.